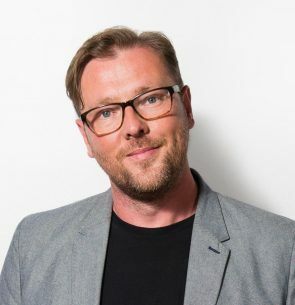 Damian Barr is an award-winning writer, columnist and salonnière. Maggie & Me, his memoir about coming of age and coming out in Thatcher’s Britain, was a Radio 4 Book of the Week and Sunday Times Memoir of the Year, winning the Paddy Power Political Books ‘Satire’ Award and Stonewall Writer of the Year. Damian writes the Novel Destinations column for High Life and often pops up on Radio 4. Starting at Shoreditch House in 2008 and now based at the Savoy Hotel, his Literary Salon premieres new work from emerging and established writers and guests include David Nicholls, Caitlin Moran and Mary Beard. The Salon has toured to New York, Istanbul, Moscow, Sydney and Auckland with the British Council and is now podcast on British Airways. The Guardiannamed him ‘one of the most connected men in publishing’. His first novel, You Will Be Safe Here, was pre-empted by Bloomsbury. It has already garnered much acclaim from esteemed writers including Diana Athill, Aminatta Forna and Garth Greenwell and will be published in the US and the UK in April 2018. He has contributed to several anthologies, including Out There: An Anthology of Scottish LGBT Writing and two forthcoming anthologies, Common People and Others. Alongside his writing and hosting, Damian continues his quest for the perfect martini.